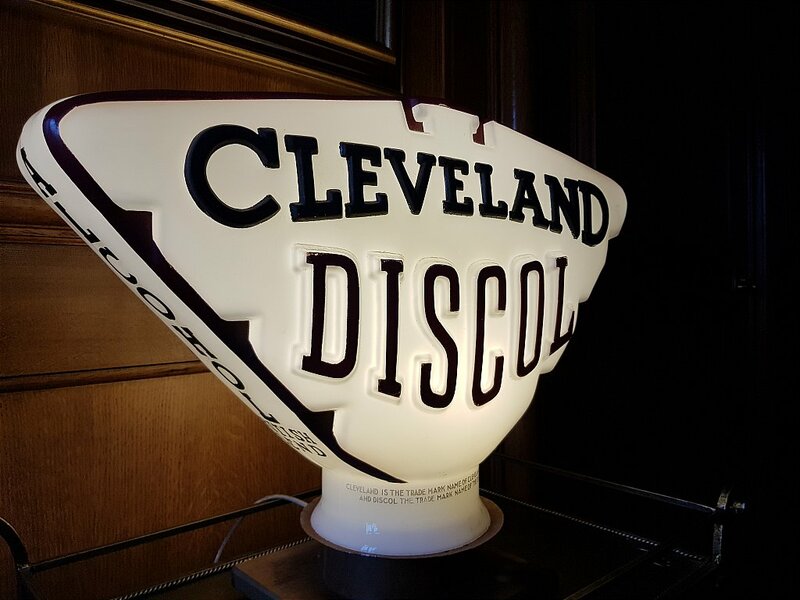 Unusual early Cleveland raised letter Discol globe. These globes normally have a solid red band around the sides. I think this is an earlier version with original black writing and moulded glass raised letters.